Have you ever just dreaded going into your bedroom? Is there a lack of excitement, cohesiveness, and romance in your bedroom? Do you ever wonder if he will get the job done or if you will have to just do it yourself? Sigh. Welcome to my world. The colours are blah, nothing goes together and my man hasn’t finished putting up trim and patching up a wall. Oh, you thought I was talking about something else did you?! Haha. It’s just four walls and a place to sleep. He’s fine with that but I am most certainly not. But where to start? Our bedroom is quite small and we have furniture that is a bit on the large size. We have no plans of changing out the furniture right now and so design options are minimal. For now I really just need to pick out some paint and curtains. Even this seems like a monumental task. There are so many colours to choose from! I think I’ve narrowed the colours down and would like to paint the walls two colours. The top will be blue and the bottom will be taupe or a sand colour. The internet is a wonderful place to help pick out colours. 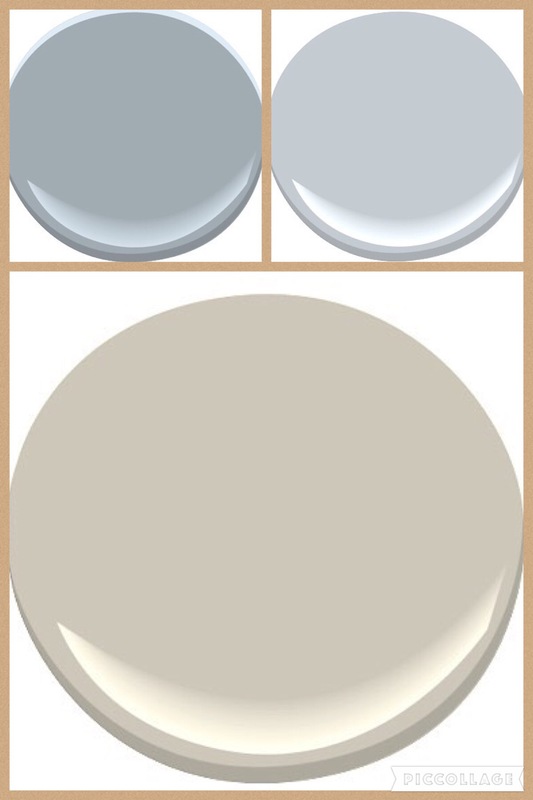 Benjamin Moore has a wonderful tool which allows you to mix and match colours in different rooms. The tool is a little buried on their website but once you find it, it can help take the guess work out of picking colours. Here is what I’ve come up with so far.